The Handmade Sofa Company can use a standard design and modify it to suit your specific needs. If you are taller than average, we can add a little depth to the seat or height to the back. 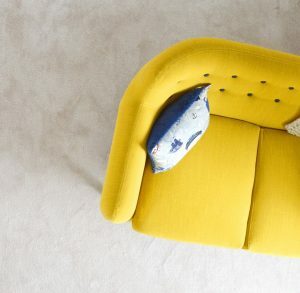 You might prefer your sofa to have a wider arm at a lower position, or maybe a wooden leg instead of metal – for the Handmade Sofa Company such changes come as standard. Such flexibility also allows us to go beyond simple modifications. For those who just cannot find what they are looking for we are also able to build bespoke sofas from scratch using photographs or diagrams. If you have a mental picture of what you want, just sketch it out with some approximate dimensions and send it to us. Every piece of our furniture is hand built to order using the finest high quality materials. We can supply all furniture using fabrics from the UK’s leading suppliers and designers. From practical faux-suedes to sumptuous cotton and silk velvets we will try to find you the exactly the right fabric for your needs. Using one of the most extensive collections of leather in the UK we are bound to have what you want. From bright colours in the most practical corrected grains to the softest full grains, you will be surprised at just how much choice you have. Grain leathers include a variety of finishes from distressed or natural, smooth or shiny, aniline or even the most tactile nubuck styles. You are guaranteed that any piece or ‘suite’ of furniture will be covered in leather selected from the same batch of hides ensuring continuity of tone and thickness. In the past decade or two, leather has gone from being a high value luxury product to being mass produced merchandise. The majority of leather furniture sold these days in discount stores/websites is imported from China and Eastern Europe. To keep prices as low as possible many of these manufacturers use a combination of leather and vinyl, polyurethane coated leather (bycast), reconstituted leather and ‘splits’ (where the suede is stripped off the back) – despite being marketed as ‘leather’. At the Handmade Sofa Company we use only 100% (full thickness) leather. All hides are selected from the same batch ensuring continuity of tone and thickness and cutting down on the need for unnecessary stitching – ultimately making a superior quality product that, with due care and attention, will last a lifetime. Sometimes it is forgotten that leather is a natural product and doesn’t come on rolls like fabric! Leather will often display traces of its past such as brand marks, scars, growth lines, veins and the like. We believe that these characteristics in no way detract from leather’s natural beauty but give furniture a uniqueness that fabric cannot. This is buffed to partially correct the surface of any blemishes and imperfections. Once these are reduced, a surface pigment is then applied to the leather making it very practical and durable. It is then embossed with an artificial grain print to achieve a uniform colour and look. A type of pigmented leather where the surface is covered by a darker topcoat, which can be partially removed (rubbed off) by hand to reveal a lighter contrasting base colour. Over time more of the topcoat is removed with use leading to an increasing amount of the base colour showing through. This type of leather is normally used for traditional furniture such as Chesterfields. These are designed to look “distressed” and will continue to look more used and distressed over time. Oils and/or waxes are applied to its finish coat and in places of heavy use, the oils/waxes are pushed away producing lighter areas especially on seat cushions and chair arms. Scars, marks and other imperfections which occur naturally are more noticeable it will also scratch easily but these can be smoothed away by using the palm of your hand. These are the most expensive leathers because they are made on the best quality skins and have a very natural soft finish. Their colour is achieved by using dyes not pigments. Full aniline leathers are more susceptible to absorbing liquids because of their natural porosity. However because none of their pores are blocked with pigment, the leather is more luxurious, it breathes more easily, is more tactile, and cooler and softer to sit on. These are also dyed through but have a thin finishing layer applied to their surface giving it an even colour and providing a good compromise between the softness and feel of full aniline leather and the protective benefits of finished surface leather. It therefore feels much softer and more tactile than corrected varieties as described above. Nubuck is actually an aniline leather which has had its grain surface brushed to create a texture similar to velvet. See aniline leathers above. Brushing makes the leather even more absorbent than aniline leathers and therefore only suitable for suitable environments.